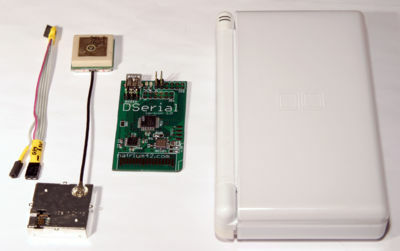 Brief instructions for connecting a GPS module to DSerial have been posted to NaWiki. At this time raw NMEA strings can be read in the console. I will update my old Google GPS for DS hack to use this at some point. You are currently browsing the Weblog weblog archives for February, 2007.